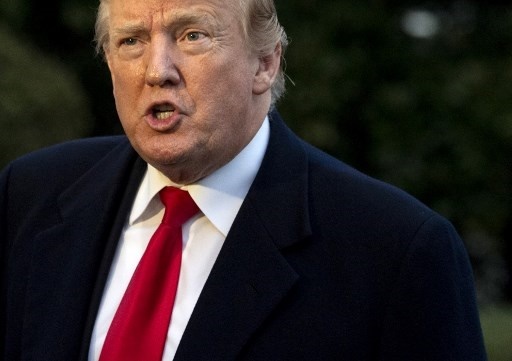 United States President Donald Trump on Monday urged Uganda to find the kidnappers of an American tourist who has been freed, amid conflicting reports over whether a ransom was paid for her release. Kim Endicott of Costa Mesa, California was released by her abductors over the weekend and was to be turned over to the US ambassador on Monday, Ugandan police said. "I have indicated to you that we don't do ransom," he said on Monday. Many officials, including from the US Embassy, were involved in efforts to secure the release of the kidnapping victims, he said. He couldn't say how much was paid or who paid. Ugandan President Yoweri Museveni said on Twitter that the security forces "shall deal with these isolated pockets of criminals". The kidnappers had demanded a $500 000 ransom after grabbing Endicott and her driver from a group of tourists on an evening game drive on April 2, police said. US Secretary of State Mike Pompeo had said at a Tuesday event for families of US citizens held captive overseas that he understands some people want to do anything to get their loved ones back but paying ransom would just lead to more kidnappings.